Welcome to Hugh B. Alexander Illustration. Please review my portfolio of automobiles, trains, airplanes and mixed imagery. 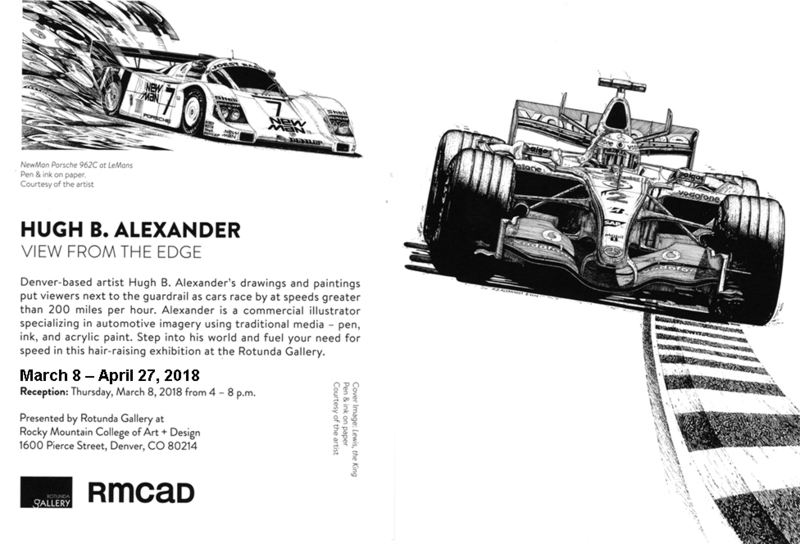 Thank you for attending my show at Rocky Mountain College of Art & Design in April and May 2018. Your comments are welcome. Let’s start a conversation.